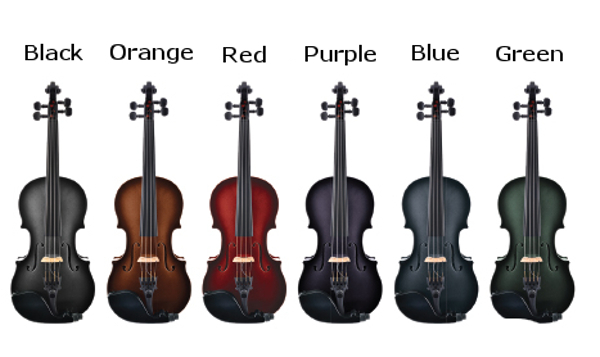 Click the button below to add the Glasser Carbon Composite 4-String Acoustic-Electric Violin Outfit to your wish list. The instrument is set up with Larsen strings and Planetary Pegs. It also includes a Glasser Braided Carbon Fiber Bow (round shaft), a Glasser stand, rosin, a polishing cloth, and a 10' right-angle cord, all in a backpack case. Available in 4/4 only.